Description A purple clay mask packed with micro-nutrient minerals and with a detox effect for healthy, supple and smooth skin. 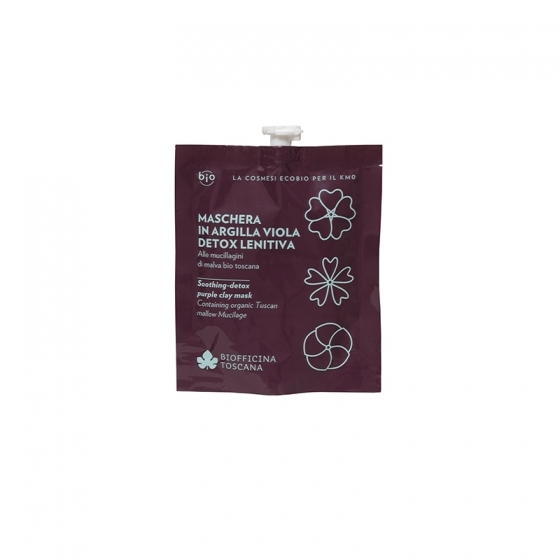 The clay acts in combination with the organic Tuscan mallow Mucilage, with soothing and moisturising properties. 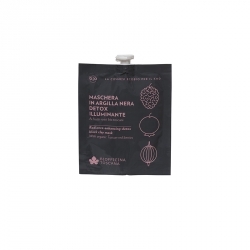 Thanks also to the emollients it contains, this mask has a creamy texture, which feels great on the skin and leaves it clean and rebalanced. 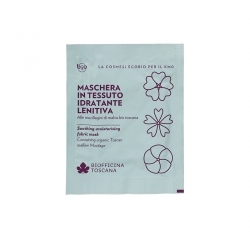 Suggested use Apply all over the face or in a specific area only for multimasking use, combined with Biofficina Toscana's other clay masks. Leave on for 15 minutes and rinse. Active ingredients purple clay, organic mallow Mucilage, organic sunflower oil, squalane, sugar-based ingredient with a moisturising and soothing effect. Ingredients Aqua [Water], Kaolin, Ethylhexyl palmitate, Caprylic/capric triglyceride, Cetearyl alcohol, Glyceryl stearate, Helianthus annuus (Sunflower) seed oil*, Myristyl myristate, Squalane, Cetearyl glucoside, Sorbitan olivate, Glycerin, Malva sylvestris (Mallow) leaf extract*, Saccharide isomerate, Propanediol, Parfum [Fragrance], Phenethyl alcohol, Xanthan gum, Undecyl alcohol, Tetrasodium glutamate diacetate, Benzyl salicylate, Limonene, Hydroxycitronellal, Hexyl cinnamal.